Many of you have seen many builds shown on Modeler Magic that encompassed some great effects. Some of them were due to using TenaControls! Check out some of the artists works that use TenaControls by clicking their name links below, then visit their site by clicking on their banner link below! 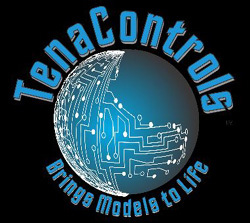 To visit the TenaControls site direct, please click the banner link above. To contact TenaControls direct, please click the CONTACT ARTIST link below.